EZCOACH is what you can offer your members who don't purchase Personal Training! Over 90% of your member base will not purchase personal training. Why not offer a solution that increases your revenue and retention while keeping your members engaged. Members without a plan most likely will fail. Give them the direction they desire and reduce the amount of cancelled members! Generate more revenue immediately (for those seeking additional revenue options)! EZCOACH is a proven business system that provides your training department with a consistent, reproducible fitness solution. 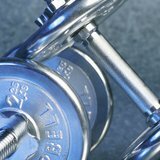 EZCOACH utilizes the most advanced exercise technology that easily creates a fitness prescription for all your members. With EZCOACH you can offer personal coaching in a tiered pricing format that gives your club more revenue by providing training membership upgrades to service your customers. This model allows the member to first choose from a list of membership options that best fit their needs and budget. *You bill the member via EFT or Paid in full, or both, you decide. The trainer/coach chooses a workout from the menu that best fits their goals. Trainers can also design their own customized workouts for members and keep them as templates in the program avoiding the tedious tasks of re-writing programs. Once the client's test results are entered into EZCOACH a customized workout is created exclusively for the member to keep them engaged in a program getting results fast. EZCOACH Fitness Prescription System is a business model for those in the fitness and weight loss industries who understand a successful client is their best client. The EZCOACH paradigm is a scalable, more efficient way to deliver fitness and weight loss solutions to people seeking to improve their health. There are so many fitness centers today that provide the necessary equipment one needs to become healthy, but not the essential planning. 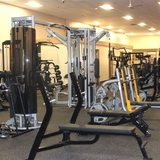 EZCOACH provides that planning within a fitness facility to every member looking to attain optimal health. EZCOACH's customized fitness plans enhance the member's experience by offering a variety of fitness workouts to promote health and keeps your members actively participating in your fitness facility. Members who struggle due to lack of guidance upon joining a fitness facility drop out leaving the club with yet another discouraged member and lost revenues. That's why the EZCOACH system makes so much sense.